A survey of 477 IT professionals working in organizations that have mainframes conducted by DevOps.com on behalf of CA Technologies finds over half describe their transition to DevOps as being a “work in progress.” CA Technologies enables customers to extend Agile and DevOps practices to mainframe by helping them adopt a common set of enterprise tools to optimize the software development lifecycle. 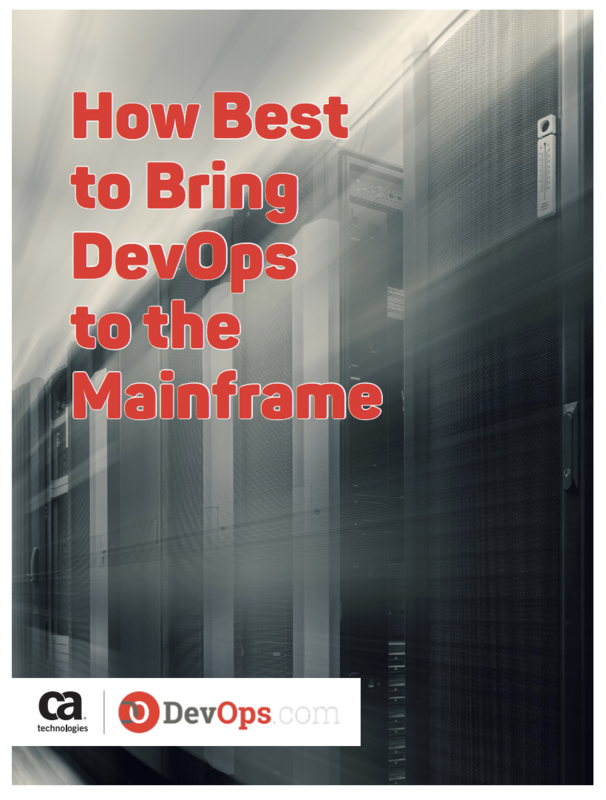 In this eBook, accelerate adoption of DevOps practices by leveraging the mainframe. We invite you to check out the on-demand webinar, Extend Agile and DevOps practices across hybrid IT here.